ROSWELL, Georgia (CelebrityAccess) — The daughter of the late singer Whitney Houston was found unresponsive and facedown in a bathtub at her Roswell home on Saturday and was rushed to the hospital, police said. According to the Associated Press, 21-year-old Bobbi Kristina Brown was discovered by her husband, who performed CPR on her until rescue workers arrived. Brown remains alive, but is reportedly on a ventilator and in a medically induced coma at a hospital in Atlanta. 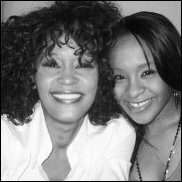 The incident closely mimics the circumstances of her mother Whitney Houston's death in February, 2012. Houston was also found in a bathtub, just ahead of the Grammy awards. She left her entire estate to her daughter.